Learning how to write a sermon happens more likely during seminary training. However, other people active in various church roles may also give sermons, such as Sunday school teachers, teen pastors, or leaders of marriage retreats. Using the steps below, you can easily write and deliver a sermon at your place of worship. Step 1 - What is the lesson? Sermons are the equivalent of a school lesson. Like a school where the teacher has certain skills to teach at particular points during the school year, the church also has a calendar to teach its lessons (or verses). These lessons usually come from a religious book (for example, The Bible, The Torah, The Quran, or another holy book). That schedule makes it a little easier for you to prepare. You don’t have to hunt through thousands of verses to figure out which one is best for your audience. The church has done it for you. From those verses, see if there is a theme. Is the verse a story about God or the Divine’s love? Or is it about the virtues of marriage? If there is a theme or one common idea presented in the weekly church verses, it is a good idea to use that as the topic for your sermon. Or, if the church personnel (or you) decide on another topic and verse, then use that. Think about what you want to say. What is it that would most resonate with your audience or congregation? Then write down your ideas--just a few bullet points of things you want to cover in the lesson (the over all message). Look at the list, and decide if the order you wrote your ideas is the way you want to present them. If not, put a number by each bullet point to indicate what you want to say first (#1), second (#2), and so forth. So, find a quiet spot and write exactly what you'd like to say. Write the whole sermon. Everything. You don’t have to start from the beginning. You could write the ending first, then the middle and finally the opening. But write what comes to you first. Step 3 - Check for organization. This is why it's important to write out the entire sermon you're thinking of giving when learning how to write a sermon. After you’ve written the first draft in its entirety, it’s time to see how it flows. Do you have a clear beginning? What about the ideas in the body paragraphs? Do they reflect all you want to say? The conclusion--does it leave the audience with a clear message? What is that message? And--does it challenge the congregation to do something (or not do something)? Or, does it give the members a point for self-reflection or meditation? Look at all the main points. Are they organized in a way that makes the audience (the congregation) able to follow them easily? When you're learning how to write a sermon, it's easy to over look how your written sermon is organized. If the written version of your sermon is hard to follow--i.e. disorganized, then your audience will have difficulty following it when you speak it. So, remove text, re-write text, or move paragraphs to the appropriate place in the sermon. (It is helpful at this point to use a computer and the copy paste feature). Step 4: Ask a colleague to read it. When you're learning how to write a sermon, having someone read your work will help you see your sermon in a different way. He or she may say the message is clear. Or, maybe not. But, that person can make comments on your word choice and whether or not it is effective. You want a helpful critique--instead of one that is too nice or too mean. Once you receive feedback, make the appropriate changes. I’m presuming that you probably only have days or perhaps a week to prepare your sermon, so now is a good time to move to step 5. Step 5: Practice delivering the sermon. For some people, the physical writing part of learning how to write a sermon is easy. It's giving the sermon that may make people more nervous. But, there is an easy solution for that ... practice. Runners don’t sign up for marathons and then show up without ever having ran a mile. Olympic swimmers don’t jump off the block with no prior experience. These athletes train and rehearse for weeks, months, and in some cases years for the big moment. So, that's what helps relieve some of those nerves. Practicing your sermon. And, practicing it some more. However, I am well aware that teachers, like pastors, often don't have time to hop in front of a mirror and practice presenting their lessons. 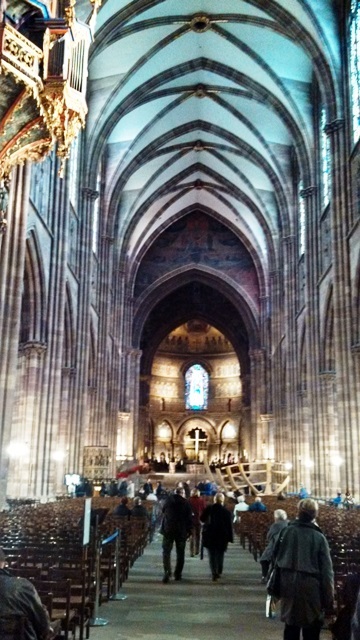 But, if this is your first time ever giving a sermon, make the time to do so. You won't regret it. Unfortunately, failing to practice can make lessons or sermons ineffective. So, this is THE one step I’m suggesting you do--that in all sincerity (for the sake of your congregation or audience) I’m hoping you’ll actually DO. Practice, practice, practice. In the car. In your closet. In front of your mirror. 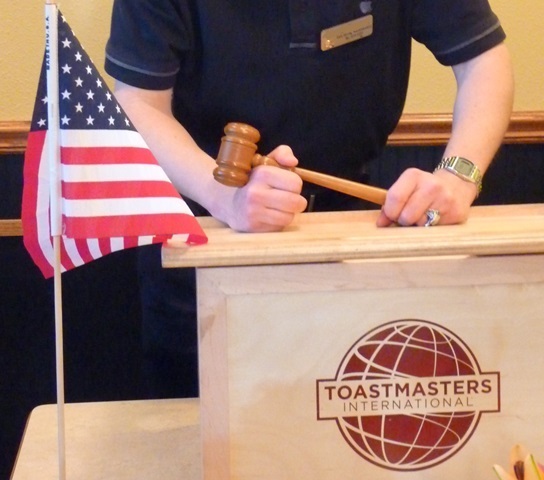 If that makes you feel uncomfortable, joining a Toastmaster group may help you practice delivering your sermon. Toastmasters is a safe place to practice public speaking--and you can do so speaking about other subjects first, easy topics. Like about your hobbies, family, and such. It doesn't matter if this is your first sermon or if you’re a guest (or non-clergy person) asked to fill in, by following these steps you can easily learn how to write a sermon and ... deliver it well.